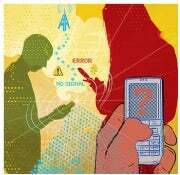 When Windows Phone 8 debuts this fall it will feature a slick new camera app, Internet Explorer 10, near-field communication, Nokia Maps, Direct X support for advanced gaming and multicore processor support. That's the good news. The bad news is current Windows Phone 7 users will be left out in the cold for most of these features, including recent buyers of Nokia's Lumia 900 handset. But don't lose heart Windows Phone fans, because Microsoft is still throwing you a bone and delivering a few Windows Phone 8-like changes for you. Following the release of Windows Phone 8 this fall, Windows Phone 7 users will receive an update called Windows Phone 7.8 that includes the new Windows Phone 8 start screen. If you're a current Windows Phone fan with no immediate plans to upgrade to a new handset when Windows Phone 8 comes out later in 2012, here's what you need to know about Windows Phone 7.8. Take a good long look at that long black strip on the right of your phone's start screen, because that wasted space is gone in Windows Phone 7.8. 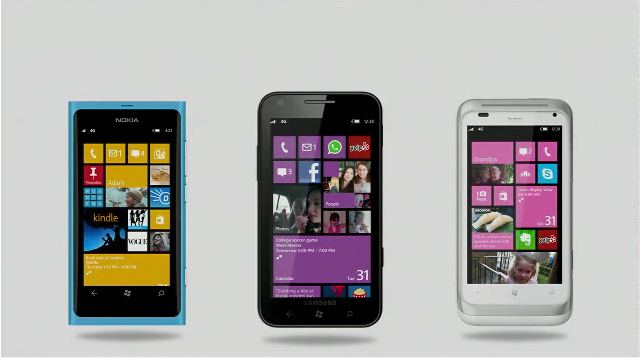 Instead, the tiles will stretch out to create a full-screen view of Windows Phone's start screen. 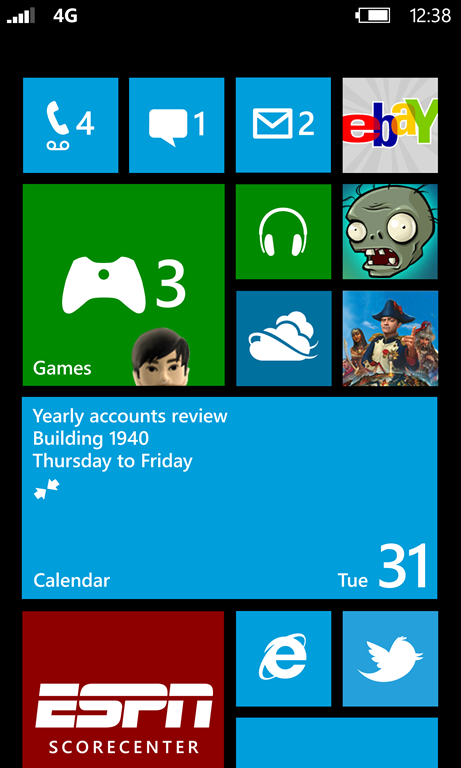 Now you can personalize the size of every tile on your start screen to stress what's most important to you. Want to shrink the phone icon and stretch out the calendar? No problem. There will be three different tile sizes to choose from: a small square, a medium-size square and a large rectangle. Nokia Lumia users will be getting a few new app upgrades including Camera Extras, which brings new Windows Phone 8 features like a self-timer and panorama mode. There's also a feature called Smart Group Shot that takes several pictures in quick succession and then automatically creates a composite photo taking the best features of each individual shot. Smart Group Shot helps avoid photo-taking hazards such as a person blinking when the shutter closes and motion blur. Research in Motion in May announced a similar, albeit manual feature for the upcoming BlackBerry 10 OS. Your Windows Phone 7 handset may be getting a minor update, but the good news is your next Windows Phone comes with a guarantee of at least 18 months of support from Microsoft. That means going forward, Windows Phone 8 handsets will get over-the-air updates directly from Microsoft for a year and a half. That's not so bad considering the average carrier contract is 24 months, so you'll only have to survive 6 months with an outdated phone.